Forget the bottled dressings. 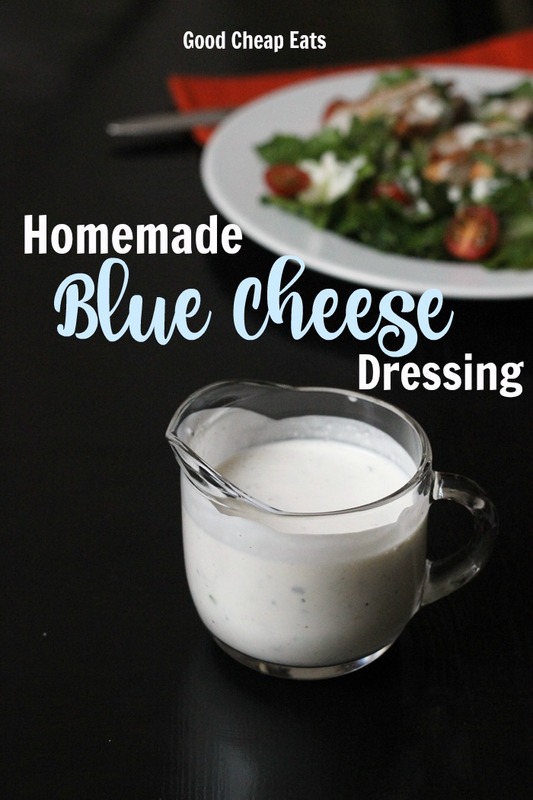 Why would you EVEN bother when you can make tasty Homemade Blue Cheese Dressing in just minutes? I’ve been a SUPER FAN of Blue Cheese Dressing for as long as I can remember. And I’ve stayed true blue, despite the teasing and taunts of school kids and wrinkled noses of my own progeny. 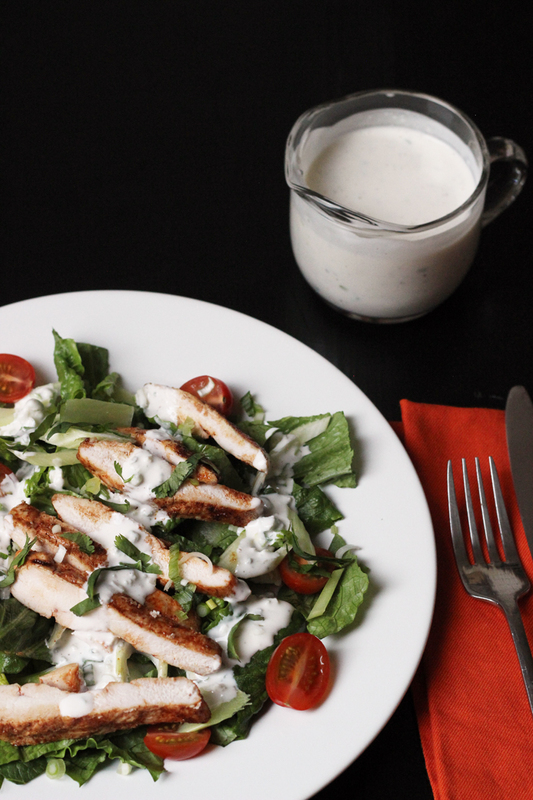 Blue Cheese Dressing, particularly homemade, is a regular on the menu in my happy place. I can’t explain it; it just IS. Like Napoleon Dynamite and President Trump, Blue Cheese Dressing is one of those things that people either love or hate. There isn’t much middle ground. 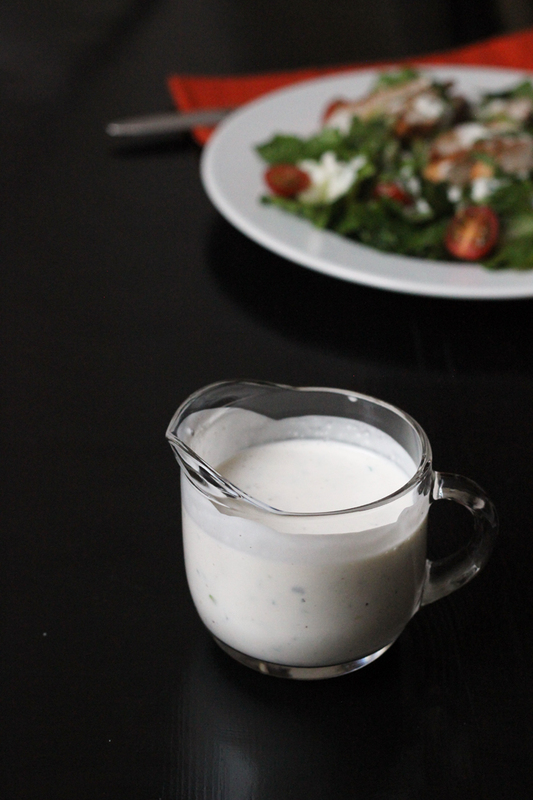 For the haters I’d like to suggest that perhaps you’ve never had homemade Blue Cheese Dressing. Even I, super fan though I may be, have come across Blue Cheese Dressings that were less than stellar. They can be too thick, too mayonnaise-y, too sweet, or have massive chunks of poor quality cheese that just… bleh. Blue Cheese Dressing Haters, I feel your pain. There is a better way. And I’m going to show you it. 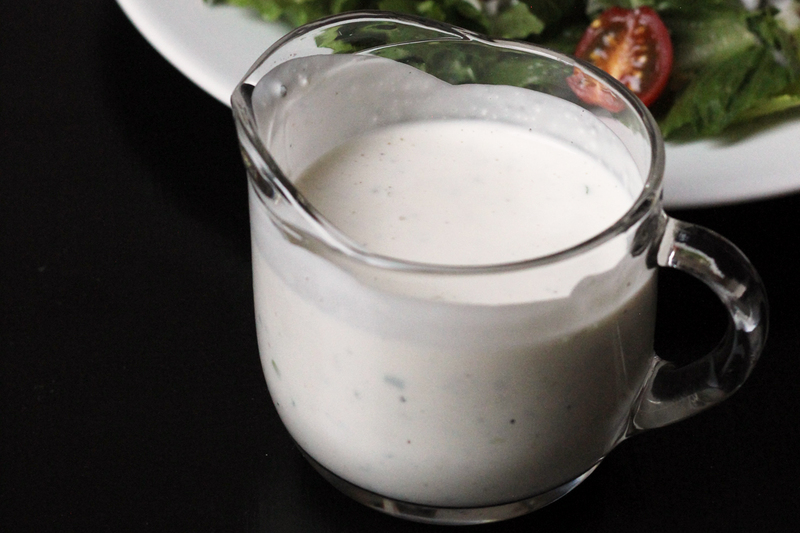 This Blue Cheese Dressing has similar roots to my regular homemade ranch-style dressing and my Buttermilk Dressing with Dill, but it’s a little more streamlined. Blue cheese or gorgonzola crumbles will both work in this recipe, but for the freshest and best-tasting cheese, buy it in a block and crumble it yourself. You can experiment with other aromatics besides the scallions. Add in your favorite herbs if you like. If you do, let me know what you try! In a small mixing bowl, whisk together the buttermilk and mayonnaise until smooth. Stir in the blue cheese crumbles and scallions. Season to taste with salt and pepper. Chill the dressing to allow the flavors to blend. Use within one week. I’m with you! If I don’t go with the usual vinaigrette, I go with Bleu Cheese. yum yum. Doesn’t it figure, the kid doesn’t like either one of those? And I don’t care for the Ranch that he likes. Separate choices every salad. Grrr. I can’t recall the last time I bought buttermilk. Does it freeze ok? I know regular milk does, but I don’t know that I’ve ever tried it with buttermilk. Buttermilk freezes okay for baking. Not sure for dressing. But, does the kid like homemade ranch? They basically have the same base and you can add blue cheese to yours. Blue cheese freezes really well so you could squirrel it away in the fridge. Yum! This is similar to my recipe. I use chives and a pinch of garlic powder in addition.